Editions : There is one edition of this book; a sequel revisits and expands upon it. 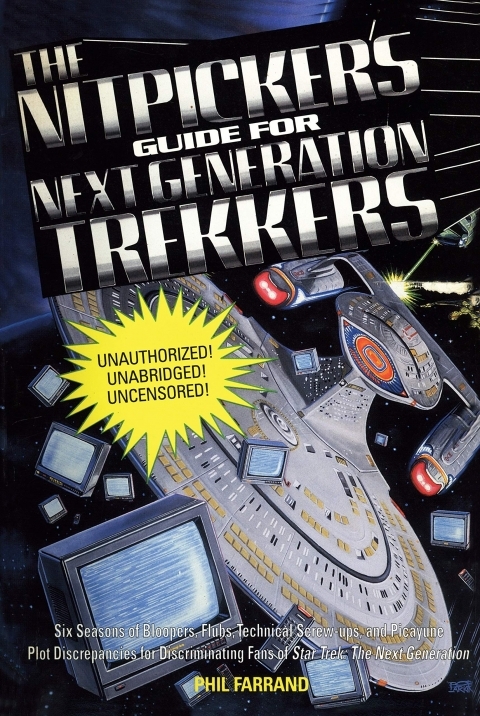 The TNG Nitpicker's guide is very similar to the TOS counterpart; same layout of episode outlines followed by nits grouped by category, same trivia questions. Phil's eye for excruciating detail is as good as ever, and the book is as entertaining to read as ever. Beware that he seems to have an impressively deep-seated obsession with combadges!